Nose: Medicinal and carbolic! Airfix glue, coal-tar soap, salt-dough, dried ham and a touch of moules marinière. Citrus peels and some sooty, ashy smoke. Palate: Sweet lemon sherbet, barley sugar, and drying lapsang souchong smoke. Mulled wine spices: Clove, black pepper, cardamom. A little funky damp driftwood note and then bitter cocoa powder. Finish: Long, chalky, and dry with more pepper, smoke, and creamy oak peeking through. Very moreish. It has a young, fresh, zesty character – lighter than the 12 and less complex but more integrated and smooth. The smoke itself is very refined with trademark notes of tea and soot but the rest of the palate has that young and green character. I’m a fan of this, and I think Diageo did well releasing it at 48%ABV. 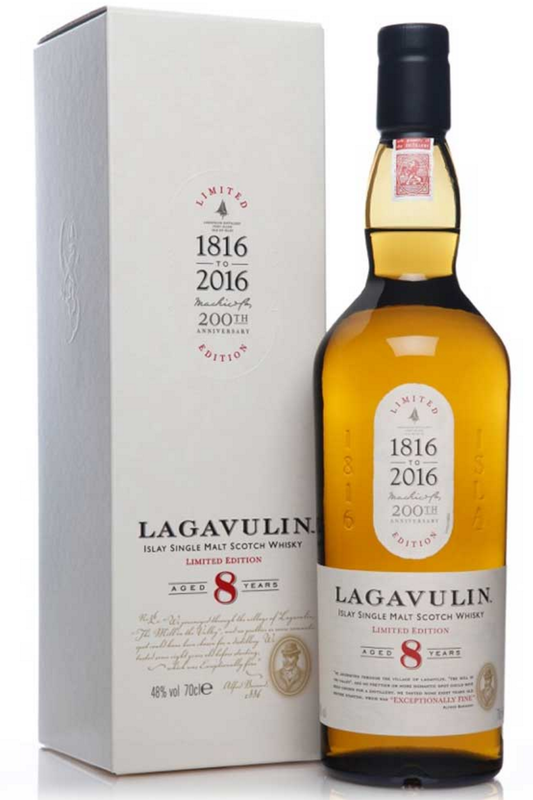 It’s a more affordable non-sherried Laga and if you like young Islay notes and savoury drying smoke then this will definitely do it for you. It is giving me physical pain to wait for this to reach the states. Keep having to calm myself down and remember that there will be loads of bottles available. Seems right up my alley. Thanks for your review and its ability to make me jealous. Cheers.